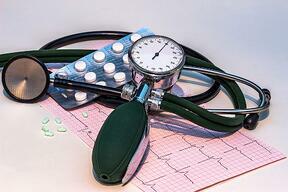 The dangers of having high blood pressure and obstructive sleep apnoea (OSA)? Having both can be a deadly combination to your health that'll eventually lead to some very serious complications like stroke and even heart disease. How do you know you’re at risk? If you suffer from OSA, you might experience hypopnea, where the soft tissue in the back of your throat, your uvula, your tongue and your pharyngeal wall sags over time and block your airway. 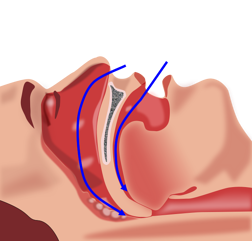 You might mistake it for snoring but it can fully block your airway and it’ll be harder to breathe every time you fell asleep. When your muscles collapse due to hypertension, your blood oxygen can also drop below 90%. And you’ll be in big trouble for your natural blood oxygen or blood saturation should always be at around 96% or 97%. But here at Sleep Clinic Services, we've treated patients with the blood saturation levels of only 63%. They amazingly survived and their blood pressure improved dramatically. Whenever your blood saturation drops, your heart has to work even harder to pump and circulate oxygen around your body. Your brain then sends a signal to your nervous system to wake you up and resume breathing to bring all your blood saturation levels back up. That brief awakening you experience is called a micro-arousal, it can happen multiple times at night and you won’t even be aware that it’s happening. A study conducted by The Journal of Clinical Endocrinology & Metabolism showed the real-time effects of sleep apnea on metabolism during the night, where it was also found out that untreated sleep apnoea raises blood pressure. Jonathan Jun, M.D., assistant professor of medicine at the Johns Hopkins University School of Medicine and his colleagues drew blood samples 31 patients with moderate to severe OSA every 20 minutes for two nights. In random order, each and every one of them spent one night in the lab either with a CPAP or without a CPAP for two nights. The study found that the CPAP withdrawal caused a recurrence of OSA along with an elevated heart rate, sleep disruption, and reduced blood oxygen. It has also increased the levels of free fatty acids, glucose, cortisol and blood pressure on a person during his/her sleep. 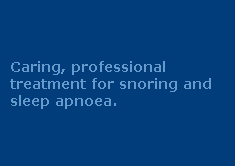 And this is why getting a treatment for snoring and sleep apnoea is so important for our health. It doesn’t only reduce the risk of having stroke and heart attack but it also prevents high blood pressure. But detecting sleep apnoea can be really difficult, especially if you’re by yourself. If you’re having a hard time sleeping you can take our free sleep self-assessment questionnaire and find out today if you’re suffering from sleep apnoea.